The International Summit of Cooperatives is abiennial gathering where leaders of cooperative and mutualist enterprises get together to discuss their concerns about the current and future business challenges they all share. The Summit is also an unequalled opportunity to forge valuable strategic alliances, stay abreast of major international development trends and gain a solid understanding of the global cooperative movement and the business opportunities it offers. More information can be found here. 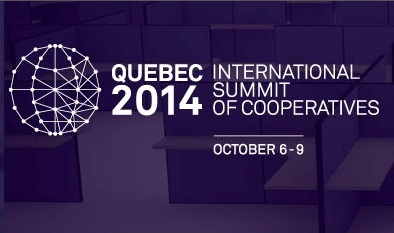 There is an supplementary activity, “Share your co-op Achievements” for worker cooperatives on October 6th. More information about this event can be found here.